Naltrexone is commonly known as an opioid antagonist. It has been shown to be effective in treating alcohol dependence and blocking the effects of opioids. 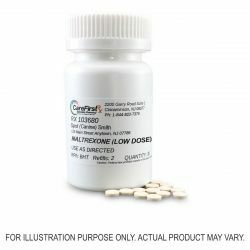 Low dose naltrexone (LDN) is a term for using naltrexone at a much lower dose than normally prescribed. In a normal course of therapy, naltrexone is prescribed at daily doses of 50 mg. Although, some evidence has implicated naltrexone to be therapeutic in several autoimmune diseases such as Crohn’s Disease at doses much lower, normally 4.5 mg daily. 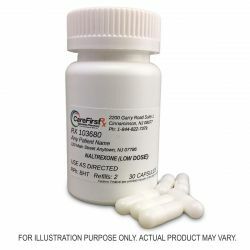 Although large clinical trials are lacking for this treatment, preliminary evidence has shown that low dose naltrexone is safe, tolerable, and effective with no known serious adverse side effects, much unlike normal therapies with immunosuppressants. How Does Naltrexone Work in Crohn’s? Low dose naltrexone is theorized to exhibit anti-inflammatory effects by its action on the opioid growth factor receptor. This receptor is different than the receptors normally utilized by opioid medications to treat pain. 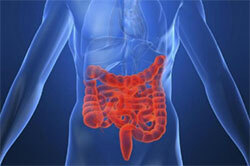 By reducing inflammation in the bowel, Crohn’s symptoms can potentially be significantly reduced. Low dose naltrexone tablets must be compounded by a compounding pharmacy to assure proper dosing. Naltrexone tablets are only commercially available at much higher doses than those used in low dose regimens. Compounding pharmacies have the expertise to customize your prescription to your specific needs. Low dose naltrexone can also be much more cost effective than normal therapies that involve expensive brand name injectable drugs. 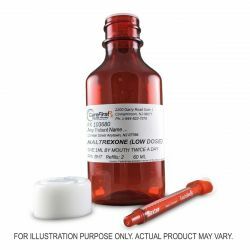 Be sure to use a compounding pharmacy with experience in compounding low dose naltrexone - LDN. All drugs potentially have side effects. Talk to your doctor to see if LDN may be good for you. Younger J, Parkitny L, McLain D. The use of low-dose naltrexone (LDN) as a novel anti-inflammatory treatment for chronic pain. Clinical Rheumatology. 2014;33(4):451-459. doi:10.1007/s10067-014-2517-2. Revia [package insert]. Pomona, NY 10970. Duramed pharmaceuticals; 2013. Smith, J.P., Bingaman, S.I., Ruggiero, F. et al. Therapy with the opioid antagonist naltrexone promotes mucosal healing in active Crohn’s disease: A randomized placebo-controlled trial. Dig Dis Sci 2011;56:2088. 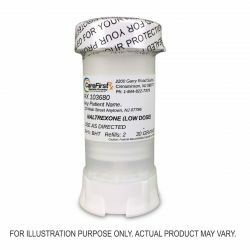 Our expert compounding pharmacists compound immediate release low dose naltrexone.